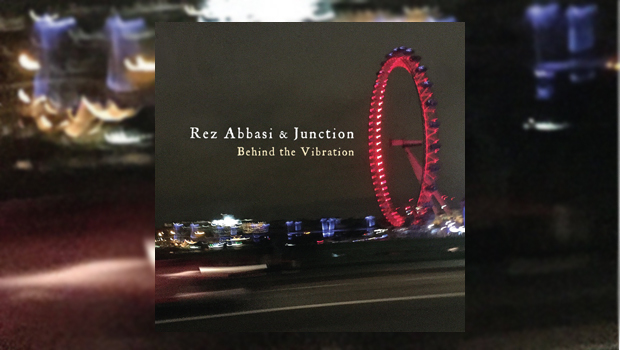 An expansive and expressive guitar player, Rez Abbasi is of Pakistani-American descent, and like his family roots his music is not bound to one place, taking influence as it does from his ancestral home in the East and melding that with Western jazz idioms. His playing often unleashes flurries of notes that are not merely statements of expertise, but in spirit if not in sound, much like John McLaughlin, they are packed full of soul and directly connect to his muse. Mark Shim when not blowing on his tenor sax uses a piece of technology called a MIDI Wind Controller, which often takes up the bass lines, there being no permanent bass player in the line-up. Quite how this piece of kit works is beyond my feeble comprehension, but suffice to say, the often funky bottom end it produces is indistinguishable from a bass guitar. As Rez says, his group’s music is based on call and response, and that previously mentioned track features the drums and sax bouncing off each other, before the deft and intricate rhythms of Kenny Grohowski are joining in a game of catch initiated by a burning flight of fret wizardry from Rez. Modern jazz and rock collide head on at this junction, but it is a happy occurrence, and one that is meticulously thought out. Within each composition there is room for extrapolation, and boy do these guys know how to play! From Mark Shim’s expressive sax solos to Ben Stivers recalling Chick Corea on the Rhodes, and of course with Rez Abassi’s highly skilled yet emotive runs, all nailed down by Kenny Grohowski’s melodic rhythms, the ensemble playing on Behind The Vibration is a treat for the ears. A special mention indeed for Kenny, who, without a traditional bass player to make eye contact with makes light of the missing foil. A quieter piece like Inner Context lets the listener into the quantum space between the strands of the knot of ensemble playing where the individual lines entwine in sensuous fashion, eventually letting Rez take a poetic solo, after which a fabulous organ solo from Ben recalls Brian Auger. That’s probably enough musical description, suffice to say that having played this album more than a few times, it is still revealing things to me, which is the sign of any album that is not going to go “pop-bang-fizz” in the manner of some instant confections. Yep, this is one I will be returning to again…and again.